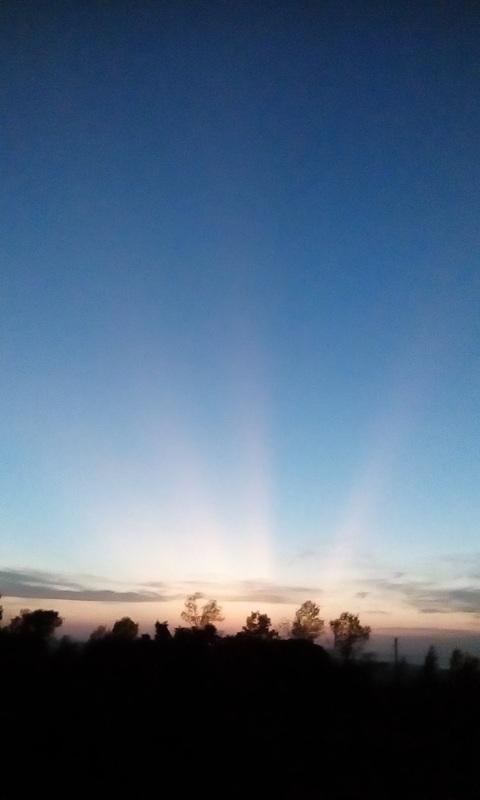 Ian spotted dark bands after the sunset. 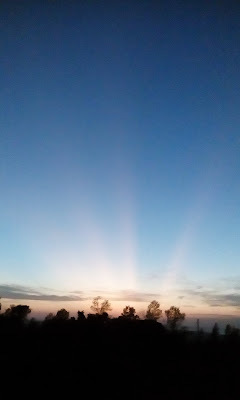 Shadows in crepuscular rays. I had never seen such dark rays personally before; reminded me of photos of shadows by mountains. Full camera in the car. It had faded a bit by the time I shot it with the smartphone. alcatel Lume, Open Camera, auto ISO, auto white balance. I think I had the focus mode set to Fixed. Must have been some big clouds near the Sun. Rhonda did not see it unfortunately. Oh. While looking for photos, I noticed the term anti-crepuscular rays. Right, I had heard that before.